Like most MTN users, you are probably looking for the best MTN data plan with mouthwatering data bonuses. However, MTN does not offer data bonuses on all of its data plans but some plans have data bonuses attached to them. You need a data plan that offers you the biggest bonus while still offering great value for your money. There are basically 5 MTN data plans with data bonuses. Here are the data plans + data bonuses and their features. MTN has two daily plans – the 50 MB plan and the 150MB plan. Interestingly, each of these plans has awesome bonuses you might want to leverage. 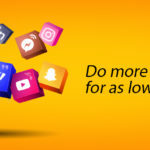 MTN 50MB plan attracts 25MB data bonus and costs N100. As pointed out earlier, it is a daily plan, so this MTN data plan is valid only for 24 hours. You can subscribe to this plan by texting 104 to 131. The MTN 150MB plan attracts a data bonus of 75MB but costs N200. It offers a bigger value than the former, especially if you need a bigger data size. You can subscribe to this plan by texting 113 to 131. MTN offers two weekly plans – the 150MB plan and the 500MB plan. However, MTN data bonus applies only to the later but not the former. The 500MB plan attracts a whopping data bonus of 250MB and the plan costs N500. The plan is valid for 7 days from the day you subscribed to it. You can subscribe to the plan by texting 103 to 131. 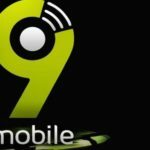 MTN offer six monthly plans – the 1GB, 1.5GB, 2.5GB, 5GB, 10GB, and 22GB data plans. 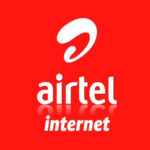 However, only two of these plans have data bonuses – the 1GB MTN data plan and the 2.5GB data plan. The 1GB data plan attracts 500MB data bonus, while the 2.5GB data plan attracts 1GB data bonus. Furthermore, the 1GB data plan costs N1,000 while the 2.5GB MTN data plan costs N2,000; both plans are valid for 30 days. You can subscribe to the 1GB MTN data plan by texting 106 to 131. For the 2.5GB data plan, you can subscribe by texting 110 to 131. For any of these data plans, you can also subscribe by dialing *131*1# and following the prompt. Apart from the daily plan data bonus, the bonus data on each MTN data plan discussed above can only be used from 1:00 am to 7:00 am on MTN deal zone.